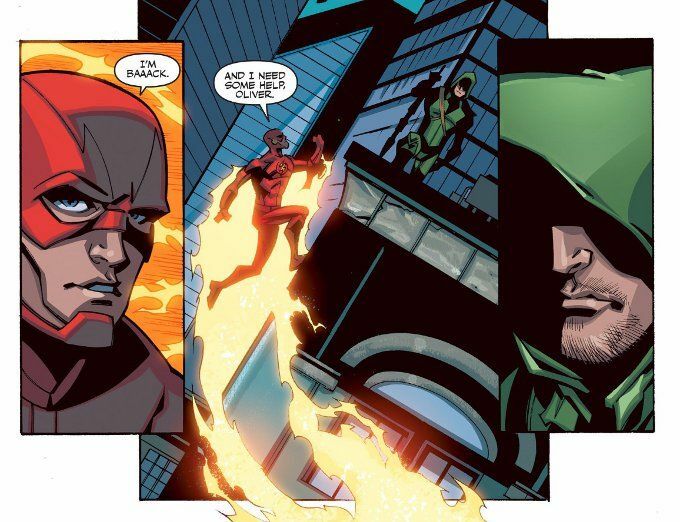 With all the secrets upon secrets and shared information that has been revealed on The Flash and Arrow, it never occurred to me until now that Barry knows nothing about ARGUS or The Suicide Squad. As such, the central conceit of this issue - that the sudden reemergence of Captain Boomerang with a gang of other killers would send Barry running for answers - is a brilliant one that helps to tie the two series even closer together. 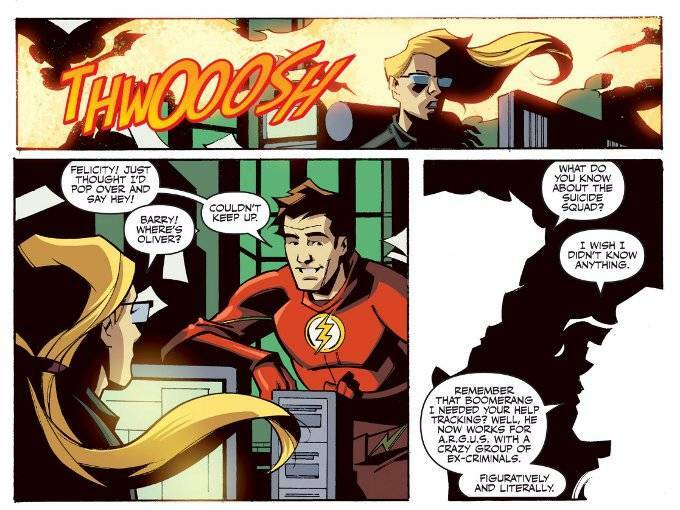 As one might expect, there's a high humor quotient to this issue as Barry intrudes on Ollie's 'Arrow' time and fails to notice that while he might casually hold a conversation in the costume, The Arrow does not do anything casually. Phil Hester is on familiar ground with his artwork here, having been the artist on Green Arrow for a number of years. Hester's work with The Flash hasn't been bad but I think he's a better fit for the aesthetic of Arrow, which offers more opportunities for the shadowy, dramatic scenes that Hester excels at. It's a debatable point but what can't be debated is that this issue is as well illustrated as it is well written.